Do you just want to ask a quick question about an Excel formula? Stuck with something in your spreadsheet and need some help getting moving again? 1. 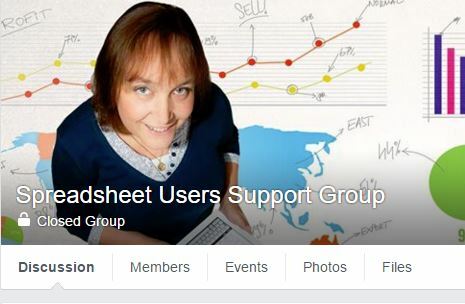 Join us in the super helpful Spreadsheet Users Support Group on Facebook and ask away. 2. I send out a regular (though not too regular) email with latest tips and tricks in Excel and details of any offers on products to my subscribers. If you’d like to receive my emails, please join here and I’ll be very pleased to send them to you too.